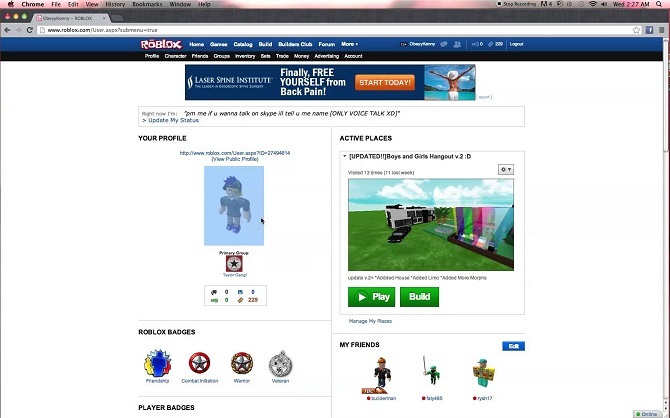 How to Make Your Games Popular on Roblox? Check the Great Tips Here! Are you get bored to play a game? How about you create it by yourself? If so, you can make your imagination become reality in the game called Roblox. Here, you can create your own game and publish it, so everyone can play it. But, make your game become phenomenal it’s not easy as you think. There are some aspects that you must complete first in order to make your game become phenomenal. So, how to make your game popular on Roblox? Just see the Roblox tips below for further information. How to Make Your Games Popular on Roblox? Great Icon is the first way to make your game popular: If you notice, each Roblox game has an icon. In order to make everyone impress. First of all, you need to attract their attention with a good icon. The better the icon, I’m sure will get attracted. You can choose something unique or colorful to catch everyone attention. Social aspects are really important here: Roblox has a forum, of course, as good users you need to take advantages of it. You can advertise your game here. Oh yeah, you need to put a good work that let them want to play your game. A cliché sentence like “please, play my game” is not enough, you need to put something that can attract their attention. Like a glimpse of the gameplay of your game. Make an Addictive game: In order to make your game popular on Roblox, the best way is to make an addictive game. I’m sure users who already like your game, they will recommend it to the others and it will flow again to another user. You can also check the game pages which game is popular right now that attract everyone. Of course, there is no rules you can’t make the same game again, so, this is your chance, but, you need to include unique features that only yours. Gallery is Your Best Friend: You already make an impressive icon that can attract everyone to click your game? But, your effort is not going smoothly as you think? Now, you need to go to the gallery section. You can upload your gameplay screenshot or video that make everyone impress with your works. The better your gallery, everyone will curious about the game of yours. It’s better than you leaving your gallery empty. Okay, guys, that’s the way how to make your games popular on Roblox. If you have better ideas, hopefully, you can share it with me in the comment section below. I really appreciate your help. Oh yeah, I almost forgot, I still have two great gifts for all of you? What is it? Just click the link below. After you click the link above, you can get free robux and tickets. So, you don’t need to worry about anything else. You can enjoy creating your game and play with others people without worrying about the currency. Okay, guys, I think it’s enough for today, hopefully, you can create the best game ever on Roblox. See you all again in the next chance guys! Uniques Facts About PS Vita | Check it Out Here to Know the Details!